Easter Bunny Maple Sugar Candy, 2 oz. 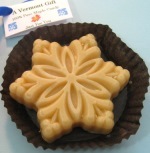 Vermont Chocolate-Maple Candy Heart, 1.8 oz. A MONSTROUS piece of chocolate-maple candy that's like no other! 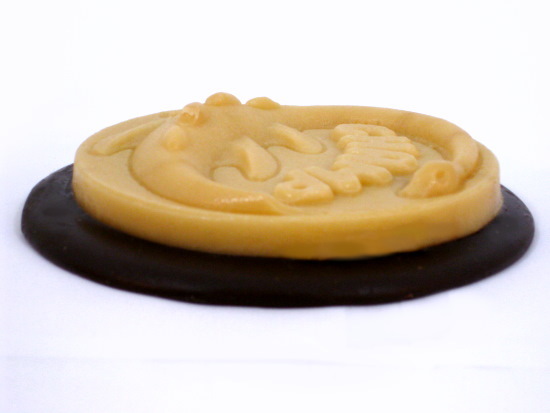 Chocolate and pure maple candy become one piece of delicious candy that measure 3/4" thick and over 4" in diameter. 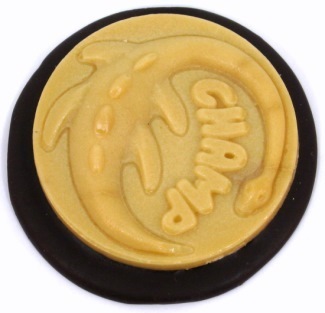 The large CHAMP maple candy is dipped and fused to a patty of luscious "down deep" dark chocolate to surround the base. As for the taste... If you haven't had melt-in-your-mouth pure and natural Vermont maple candy dipped in chocolate before, WOW, you're going to love it! 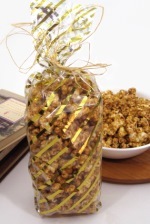 Stop in to our store or order online and give someone this exciting new maple sugar candy monster gift. At 4.5 oz. 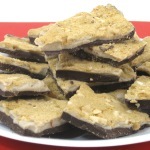 it's enough chocolate and maple sugar candy for 4 servings! You can include a gift message using the field below. CHAMP candies will arrive in a custom gift box, packaged in a second shipping box for safe delivery. Satisfaction guaranteed. Not familiar with the Champ Legend? "Champ" is the name given to a reputed lake monster supposedly living in Lake Champlain, a 125-mile long body of water that separates New York and Vermont. According to the legend and numerous eye witness accounts, the Champ monster dwells in the lake. Nobody knows for sure if the monster truly exists, but we believe it does!